Star Wars Celebration 2019 was in full swing over the weekend, treating fans to their first looks at Star Wars Episode IX: The Rise of Skywalker, the final instalment of Disney's Sequel Trilogy; Star Wars Jedi: Fallen Order, the first of EA's single-player Star Wars games; Season 7 of The Clone Wars, a surprise resurect-ee from 2018; and - of course - The Mandalorian. 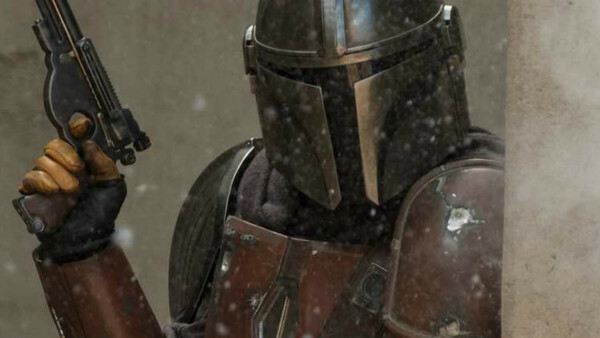 Headed up by Iron Man director Jon Favreau and featuring several guest directors, The Mandalorian will be the first live action Star Wars TV show and will premiere on Disney+ autumn 2019. Pedro Pascal portrays the title character, a Mandalorian bounty hunter who combs the Outer Rim territories, while the likes of Carl Weathers, Gina Carano and Werner Herzog are all set to join as various supporting characters as well. Set in between the events of Episode VI and VII, Favreau's series will explore a relatively uncharted landscape in the new Star Wars canon, and while there weren't too many details to come out of Celebration, those in attendance at The Mandalorian panel were treated to an exclusive sizzle-reel and teaser trailer, while those who caught the livestream were left shortchanged. Those who were in attendance, however, have been kind enough to share details of what they saw. So, with that in mind, here's everything Lucasfilm revealed about The Mandalorian at SWC2019.